When you are stressed, the benefits of essential oils are fabulous. They work on many levels. Emotionally, they can both calm you down, and uplift you because they work to help your body find equilibrium. Mentally, the oils will clear your brain from the clutter, and focus your thoughts. Spiritually essential oils will lift you to a higher vibration. And physically, essential oils and their use can have many therapeutic benefits, including reducing cortisol levels, relieving achy muscles and headaches, and bringing oxygen to your blood. Using essential oils for stress provide natural, effective and enjoyable stress relief. In an essential oil, the tiny, aromatic molecules that we smell can enter our blood very quickly. Some of the molecules can actually pass the blood-brain barrier and give virtually immediate emotional relief. This makes aromatherapy a very unique tool to reduce our stress levels. Essential Oils calm and soothe our ragged nerves. They can uplift us when we get down and depressed. They are fun to use and appeal to our sense of beauty and joy. If Aromatherapy excels at any health benefit, it certainly must be emotional support. Virtually any high-quality, therapeutic-grade essential oil will support your emotions and help you to restore yourself. Some favorites include Sandalwood, which as we said earlier, is high in sesquiterpenes that stimulate the pineal gland and the limbic region of the brain, the emotional center. Cedarwood also stimulates the limbic center and has been found to be helpful with ADD and ADHD. Good ole humble Lemon has a very uplifting effect, and can even reduce depression. Blends like “Believe”, “Harmony”, and “Surrender” may also be helpful. Some essential oils are so jam packed with oxygen that smelling them instantly wakes you up and gets you going. Try taking a whiff of true peppermint–you will be amazed at how clear your head (and your sinuses!) are. Use it when you are at a board meeting and can barely keep your eyes open. Essential oils increase our mental focus. If you can’t make a decision or figure out the next step, give peppermint or frankincense a try. They can increase your clarity and reduce brain fog. Essential oils bring nourishment to the plant and, in the same way, bring nourishment to our bodies. Peppermint is great to bring oxygen to our blood. 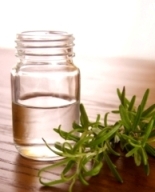 Rosemary has been found to bring alertness and clarity. You can’t go wrong with Frankincense to clear your brain fog. Even Lemon will revive you. And blends which combine these oils, like “Clarity”, “En-R-Gee”, and “Brain Power” all bring alertness and clarity. Essential Oils capture the liquids that give plants life; in essence, they capture the plant’s life force. Have you ever noticed how walking in a woods can make your feel relaxed and happy again. Sitting in a garden can erase even the worst mood? Plants are synergistic with us. We are designed to live in harmony with them and to use them for nutrition and medicine. We live around them and we take them inside ourselves when we eat them or smell them. Because of this, essential oils, which capture the life-force of the plants, bring the vibration of the plants to us. They are bottled equivalent of walking in a garden. Essential oils can help calm the mind to prepare it for meditation. They can raise our vibration so that we are more luminous. The first oil that come to mind for Spiritual Support is Frankincense. This oil has been used for many centuries for many reasons, but one of the prominent ones to promote spiritual connection. Frankincense helps with meditation, increases spiritual awareness and uplifts your spirits. Similarly, Rose oil has been used for centuries in eastern spiritual tradition. If you want the full vibration of roses, the highest vibration of all the essential oils, buy a true, pure rose oil, and be prepared to pay for it. It takes 5000 lbs. of rose petals to make 1 lb. of rose oil. Cedarwood is also uplifting. You may also try blends like “Magnify your Purpose” and “Highest Potential”. Using Aromatherapy for stress relief is easy and fun, and the benefits are numerous. Stress relief with essential oils balances the body, returning it to a normal, balanced state. The parasympathetic nervous system (the “rest and digest” system) calmly takes over and the body can recover and reenergize. Your emotions will subside and your brain will clear. 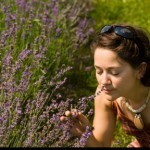 Aromatherapy is the use of essential oils to heal our bodies and balance our emotions. Essential oils are the distilled essence of plants–the liquids that result when plants are distilled, and the lighter, aromatic molecules in the plant are captured. They contain the pheromones, the oxygenating capacity, and the healing capacity of the plant. Because of their unique make-up, essential oils are excellent for relieving stress. Essential oils can benefit the body by reducing stress physically, emotionally and mentally. They have a very real chemical effect by influencing the limbic center of the brain, balancing and tonifying the organ systems, even by cleaning the receptor sites in the cells. But they also have an energetic effect, raising the vibration of our bodies to promote a feeling of well-being. When I am particularly stressed, this well-being feels like a bit of grace, relieving me of the suffering of stress. On top of all these healthy benefits, you should also remember that essential oils smell good and are fun to use. How many times does your doctor prescribe something which makes you smell good on a date? When you feel tense, try some aromatherapy. Stress relief has never been more fun. To find out about other uses of aromatherapy to relieve stress, please view the resources below.